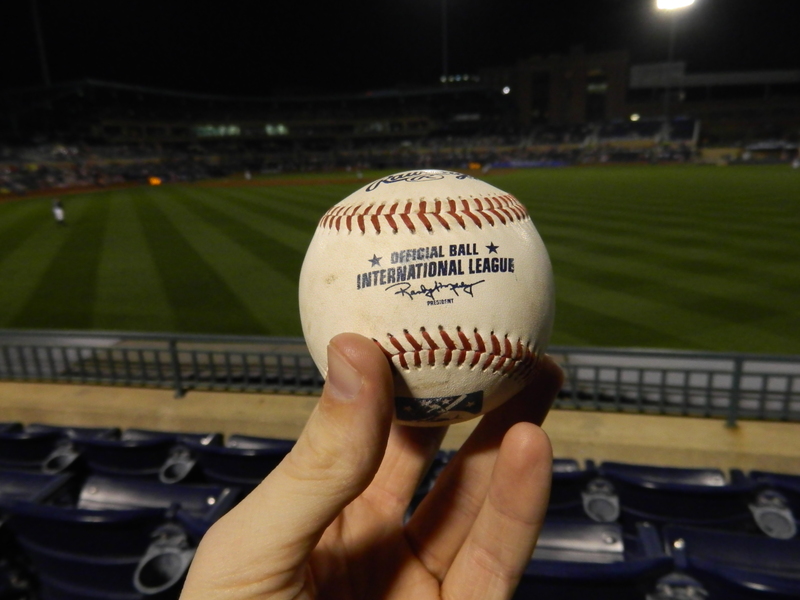 On Thursday, for the 20th and final time of 2014, I’m heading out to a baseball game. More specifically, a minor league playoff game, which just so happens to be a rematch of last year’s International League finals, with the hometown Durham Bulls set to take on the visiting Pawtucket Red Sox. Both teams are very evenly matched in numerous ways, however, while I’ll surely be rooting for the Bulls to win the game, and subsequently take three of the five games against Pawtucket to head to the Triple-A National Championship like they did last season, I’m going to be attempting to snag a few autographs from the Red Sox. Although I saw the Red Sox earlier in the year, back in June, they’re an even better team than they were then, which is truly saying something. While they’re now without Mookie Betts, Allen Webster and Matt Barnes, who were with the team back when I previously saw them, the Red Sox now have six of their organization’s top ten prospects on the team, with Garin Cecchini being the only one who was with the team in June. The biggest addition to the team since I last saw them is their top pitching prospect, Henry Owens. 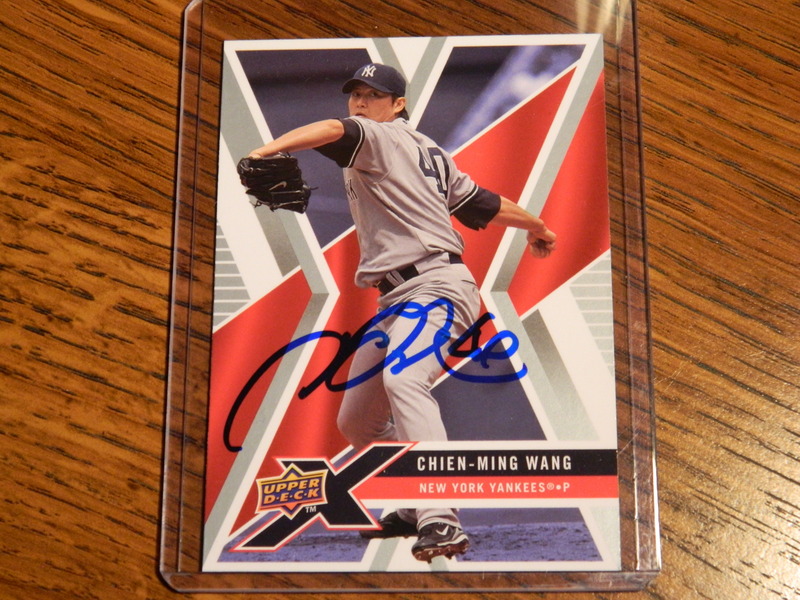 Going 17-5 with a 2.94 ERA in the regular season, Owens looks to be a big part of the Red Sox’ future down the road, and is at the top of my list for players I want an autograph of. 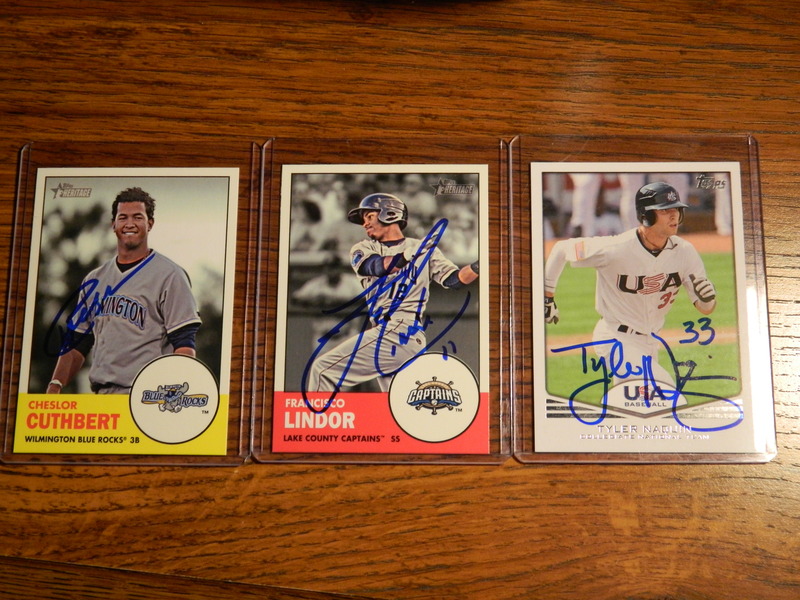 Other additions to the team that I’m looking to get an auto from include Eduardo Rodriguez and Edwin Escobar, both of which came over as part of a trade from another team; Cuban phenom Rusney Castillo, who signed a record breaking contract with the Red Sox earlier this year; and Blake Swihart, Brian Johnson and Deven Marrero, who are also a few top prospects who look to be headed for bright big league futures. As I did last season, I’m planning to post a recap of my year out at the ballpark sometime in the week following Thursday’s game, so be sure to check back for that. With all of the talent that’s going to be there on Thursday, it’s sure to make for an exciting conclusion to an amazing minor league season. 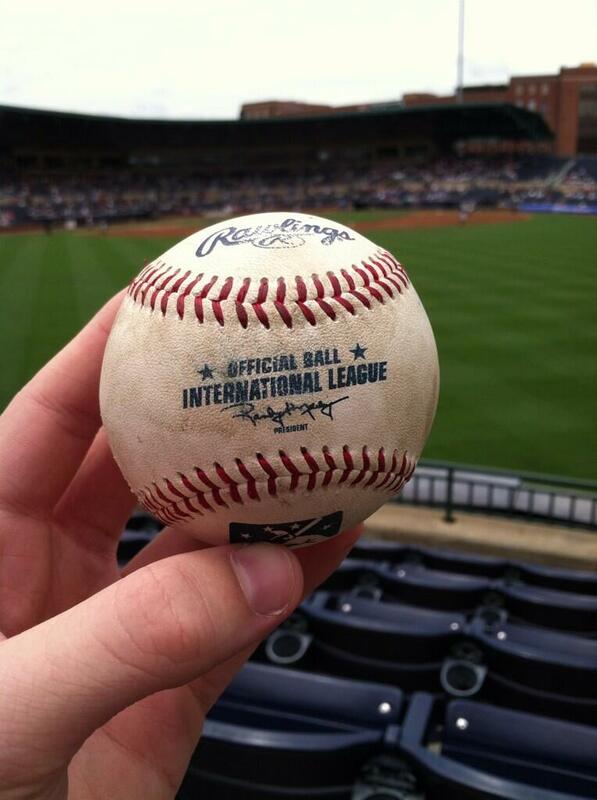 Over a year since leaving the Durham Bulls to begin his major league career, Wil Myers is returning to Durham. After injuring his wrist back in late May up at Fenway Park in Boston, Myers is set to serve as the Bull’s designated hitter tonight against the visiting Buffalo Bisons, in game one of his rehabilitation process. 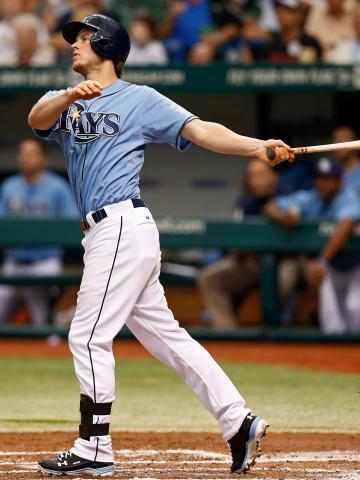 Winning the 2013 American League Rookie of the Year award by a wide margin, after putting together a season of 13 homers and 53 RBI’s to go along with a .293 batting average, Myers got off to the start that was to be expected out of a top five prospect. At just 23 years of age, Myers is looking to make his way back to Tampa as quickly as possible to continue that great kickoff to his career. But first, as stated, he’s going to spend a bit of time with the Bulls, which is quite fine with me. After seeing Myers play in half a dozen games in 2013 at the Durham Bulls Athletic Park, I’m looking forward to seeing him again. As luck would have it, I had already planned to attend tonight’s game around a month ago. It just so happened that Myers is starting his rehab today. 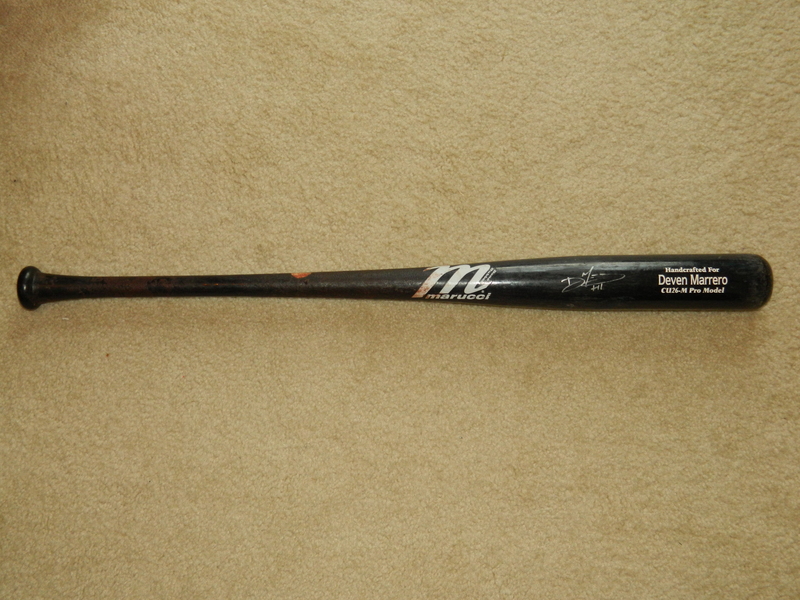 Although I got Myers’ autograph three times while he was with the Bulls last year, after winning the rookie of the year award, and with a bright big league future still ahead, I’m going to be trying again. While the visiting Bisons have a decent team, including manager Rich Hebner, outfielder Kevin Pillar, and pitcher Sean Nolin, no one on the entire team comes close to the talent level that Myers possesses. 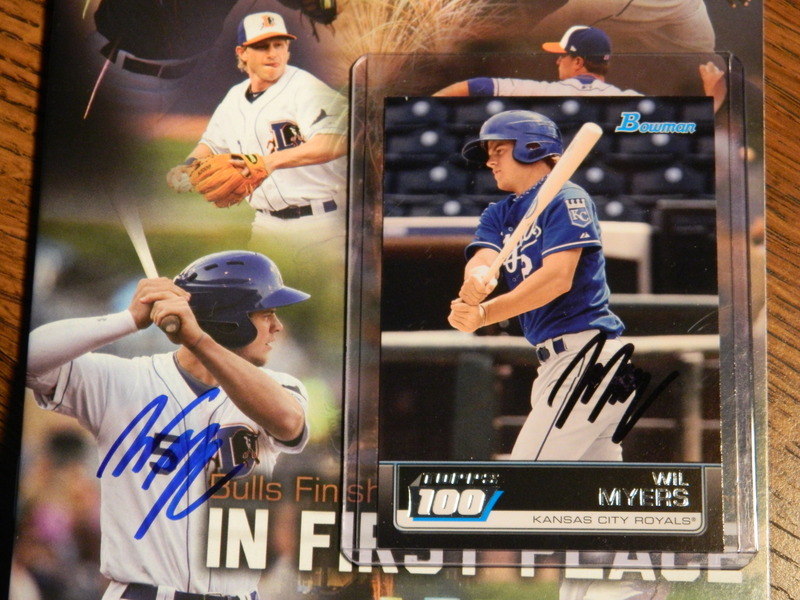 Though there have been rumors that Wil Myers could be sticking around in the minors for around two weeks, this is the best chance I’m going to have to once again snag his autograph in the foreseeable future. The Bulls head out of town after this weekend, and when they return the following weekend, despite the fact that Myers could still be a part of the team, the visiting Charlotte Knights are a too good of a team to pass up. Therefore, I’m going to be trying for their players and not Myers. It’s basically tonight or not at all. 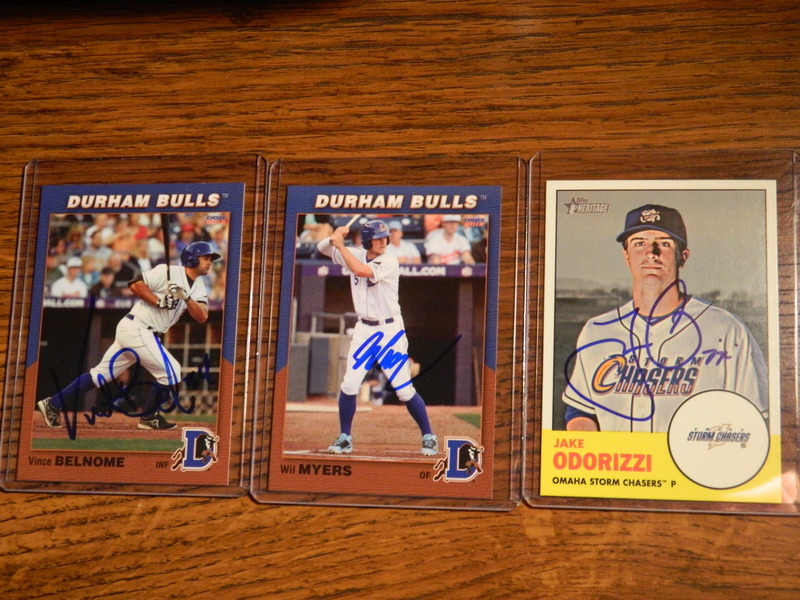 Even if I don’t get another Wil Myers autograph, seeing the most recent rookie of the year after the fact is still something of significance that I’m looking forward to. Assuming it doesn’t rain out the game, tonight is going to be a fun night. After nearly seven months, I’m finally attending another baseball game. 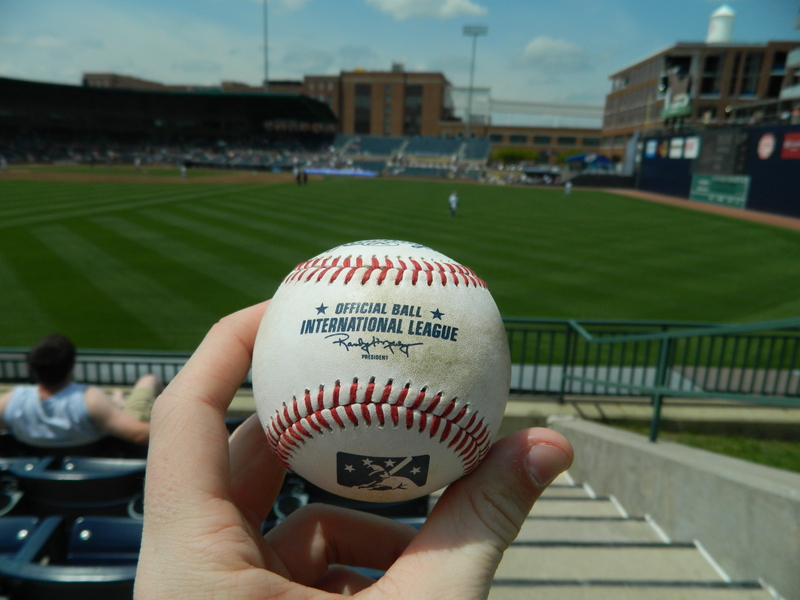 Later today, I’m heading out to the Durham Bulls Athletic Park (DBAP), in Durham, North Carolina, where the visiting Gwinnett Braves are set to take on the defending International League Champion Bulls in game three of a four-game series. With the teams having split the series so far through two games, it’s sure to be an exciting game. 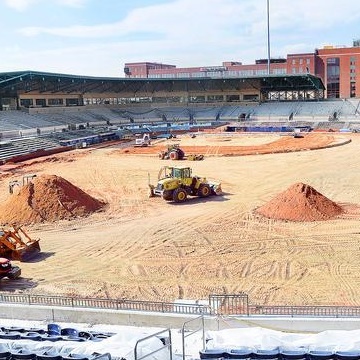 The thing I’m most excited about, besides the game itself, is seeing the DBAP for the first time since it underwent a multimillion dollar renovation this past offseason, which involved putting in new lights, new seats, a new playing surface, in addition to changing just about everything you can think of. Anything that helps make the fan experience better I always approve of. Now, if you’ve followed my blog for awhile, you know the DBAP is one of the two local minor league ballparks — Five County Stadium, home of the Carolina Mudcats, being the other — that I frequent throughout each baseball season. Though I always enjoy a good baseball game, generally, I only go out to see a game when a good amount of prospects are set to be there, or if an MLB player is playing in a rehab game. Otherwise, I’m content to merely reading the box score each night. 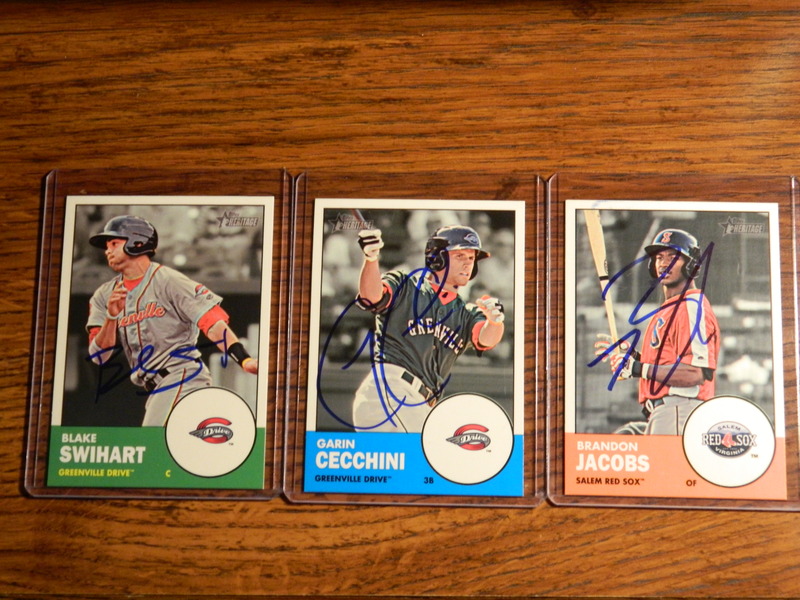 As many of you are aware, within the past couple of seasons, I’ve developed a big passion for going out to games and getting autographs from the games’ most promising young players who are on their way up, and that’s the main reason I’m heading over to the ballpark tonight. 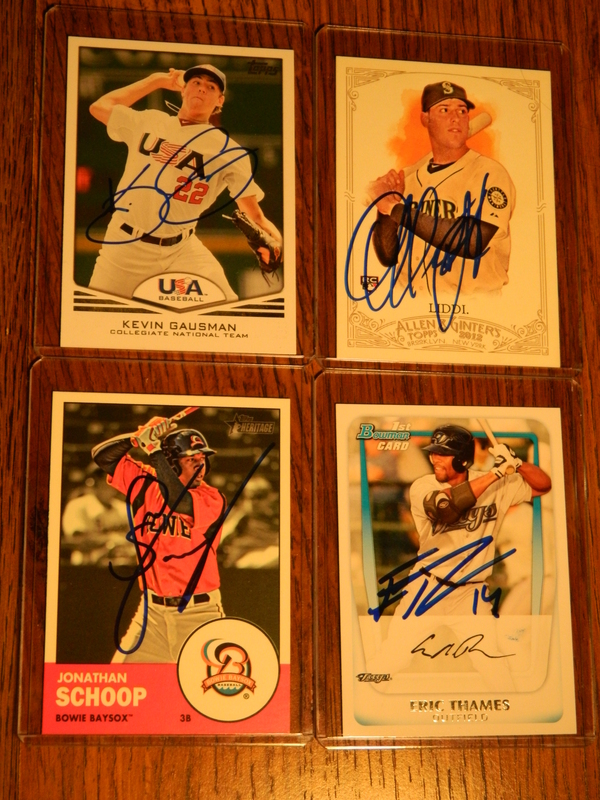 Not living near any MLB teams, it’s truly my only chance to get autographs from what will likely be future MLB stars down the road, and Gwinnett certainly has plenty of them, with Christian Bethancourt, Tommy La Stella and Cody Martin, among others. The Bulls definitely hold their own when it comes to roster construction. While this year’s roster doesn’t compare to the one they had last season, which saw Wil Myers, Jake Odorizzi and Chris Archer as part of the Opening Day roster, their lineup and pitching for this year is set to be good yet again. 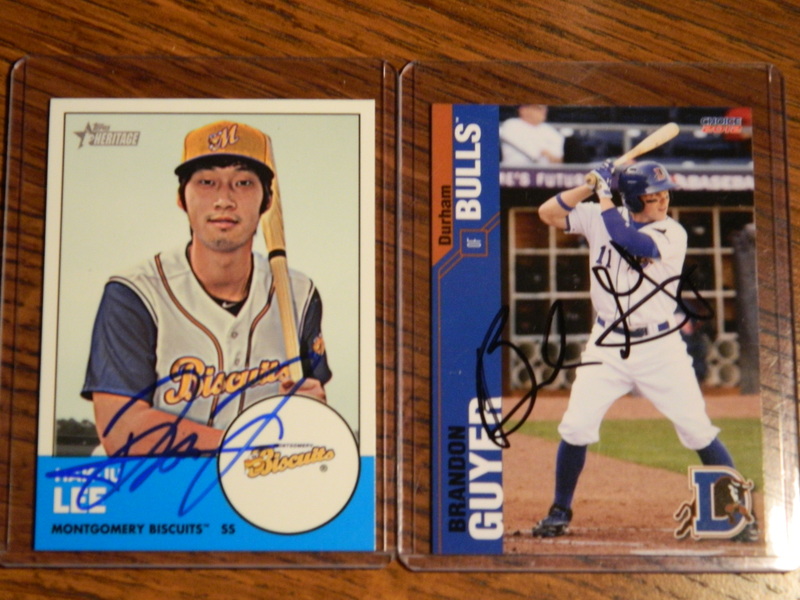 From Enny Romero to Nathan Karns, and many inbetween, the Bulls stand a good chance of repeating as Champions, and as such, there are numerous players I want to snag an autograph from at some point this year. 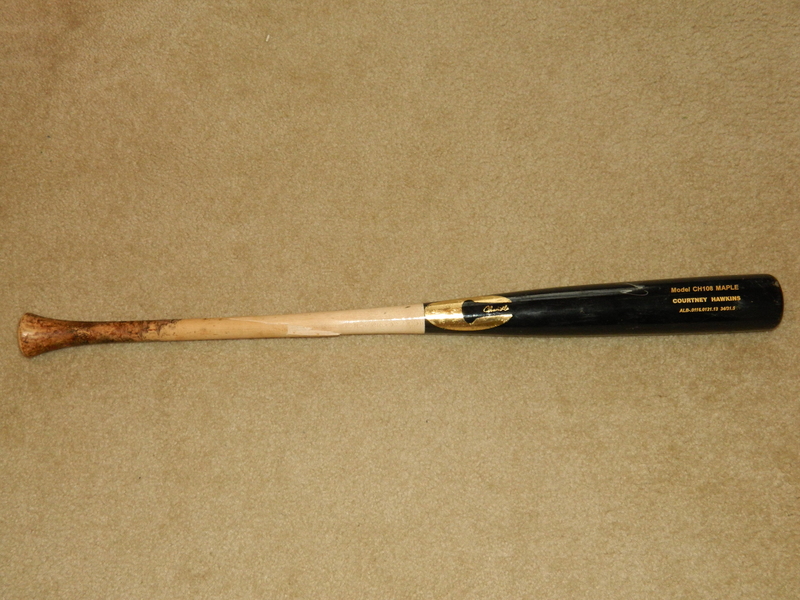 But the Braves are the team I’m going for tonight. I’m not going to be trying for any autographs from the Bulls players this time around due to the fact that I can always get them in a few weeks, as opposed to a team that may not return with the same players next time. I learned that lesson last year with Wil Myers. In taking three games to finally get Myers, I missed my chance to get the top opposing teams’ players. I won’t let that happen this time around. The way I’m viewing the schedules right now, it’s likely that I’ll be going out to Durham often this first month, with possibly no trips to see the Mudcats until May. The Mudcats simply aren’t that great of a team, and the teams that are going to be visiting aren’t that fantastic either. 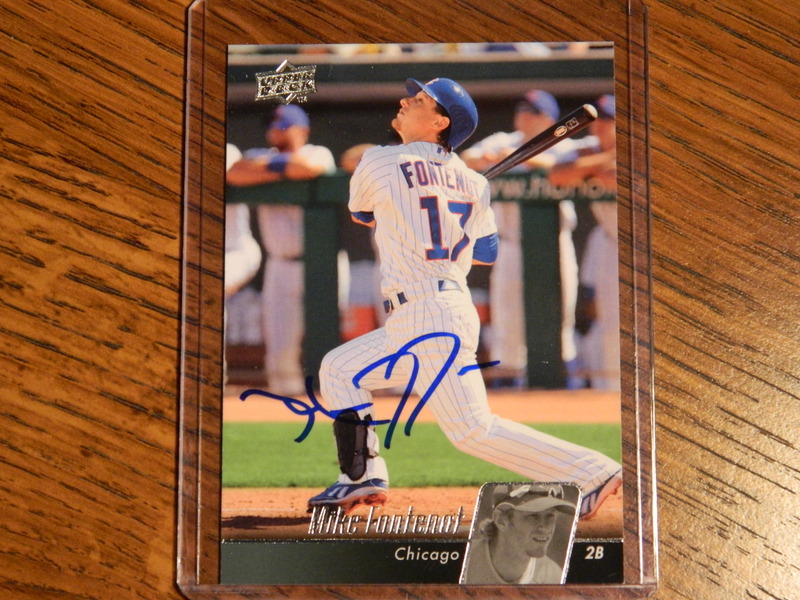 But it’s just the opposite for the Bulls, as every team they’re playing against throughout April has some really good players on it that I hope to get autos from. Though, it’s likely that I won’t be blogging about any of it, unless things happen to change. 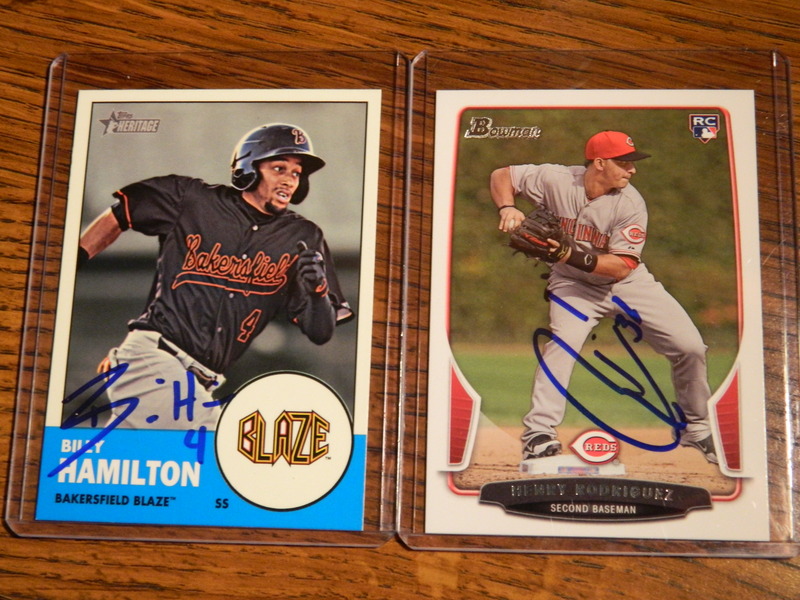 But that’s just the very beginning of what looks to be a great autographing season. From May through the end of the season, both the Mudcats and Bulls are taking on loaded teams, making it difficult to decide when I want to head out to the ballpark and see certain players in person, though that’s a good problem to have. More significant than that, however, the DBAP is hosting the 2014 Triple-A Home Run Derby and All-Star game in mid July, which will bring in numerous top prospects from the Pacific Coast League which usually never comes closer than Memphis. I truly can’t wait until then, as it’s a can’t miss experience that I’ll absolutely be blogging about. From the exciting Bulls games to kick off the season, to the remaining strong schedules between both the Mudcats and the Bulls, and the All-Star events thrown in there as well, everything combined altogether, it’s sure to be an unforgettable season. Tonight’s Bulls game versus the Pawtucket Red Sox will be my final game of the season. The Bulls are in the final round of the Governors’ Cup Playoffs, against Pawtucket, in a best three out of five series, to determine the winner of the International League, and after Wednesday’s game, won’t play at the DBAP until April of next year. Starting for the Bulls, in tonight’s game one, is their Ace, Jake Odorizzi, who has been outstanding all year; even more so in his past two home starts. On the mound for the opposing Red Sox is Anthony Ranaudo, who has also had a great season and is subsequently sure to pitch a great game. As with any game I go to, I’m looking to try for autographs. 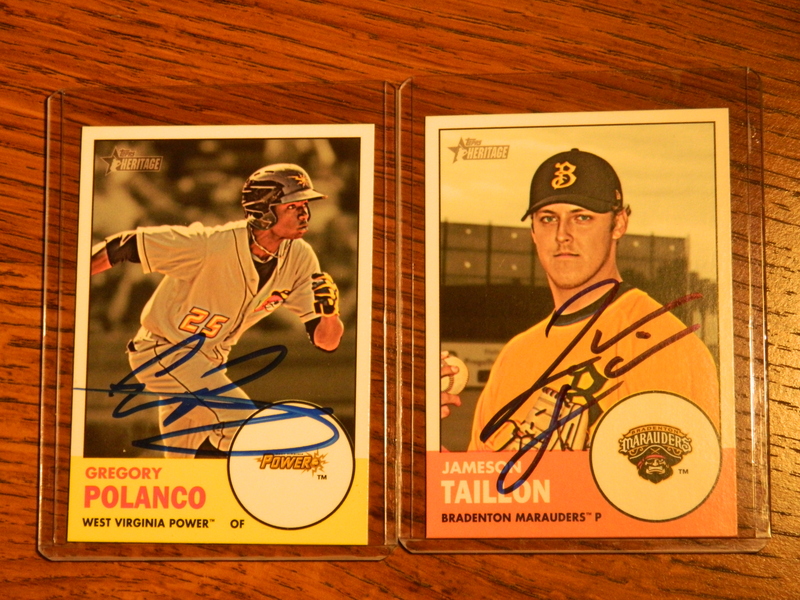 Mainly, at this game, I’m hoping to get an auto from Pawtucket’s Matt Barnes and Bryce Brentz. Earlier in the season, when they first came to Durham, the Sox had Xander Bogaerts, Jackie Bradley Jr. and Allen Webster on the roster, but I wasn’t able to attend, as I was across the country in Seattle — they’re all in the majors now. But in the end, with two great pitchers, along with two outstanding teams, it’s sure to be an exciting conclusion to the season for me, regardless. Overall, it’s been a really fun year, and I’ve been able to attend more baseball games (mostly minor league) this season than in all of the other years of my life combined; including a game at two different MLB ballparks (Safeco Field and Camden Yards) — the first time I’ve ever done so in the same year. Truly something when you think about it. But as fun as this year has been, I’m already looking ahead to next season. 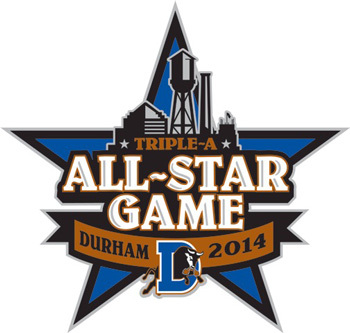 The Bulls are set to host the 2014 AAA All-Star game, in July of 2014, and I’m fully planning to attend. 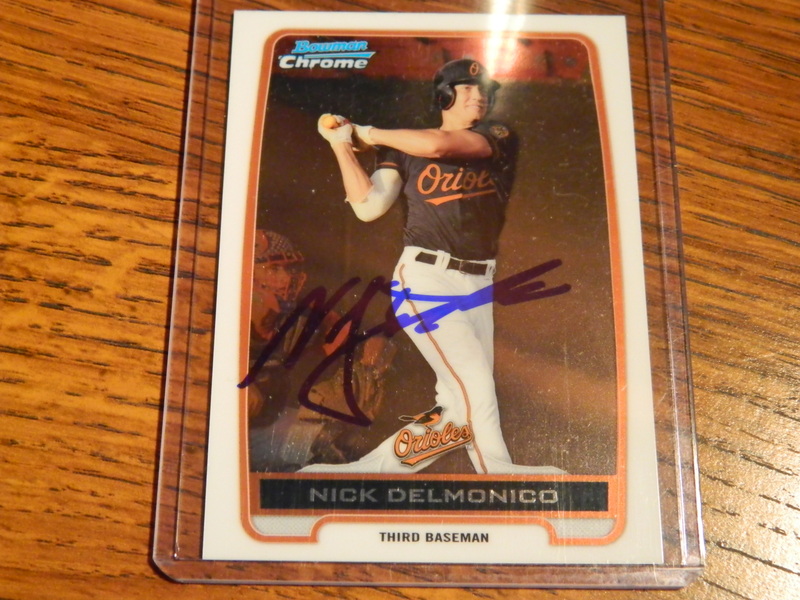 With so many top prospects in one place, it’s any autograph collectors’ dream. The festivities are also going to include a Home Run Derby, showcasing some of the best sluggers on the Triple-A level; many of which will become big league stars. So, obviously, that’s something to be excited about. In addition to my readiness for the 2014 MiLB season, I’m also looking forward to the 2014 MLB season, as the schedule for each team is set to come out later today. I’m sure I’ll make it to one or two games next year — which games is yet to be determined — and therefore, I’m going to study the schedules to plan out which teams I’ll be seeing. But even with the season almost over for me, there’s still tonight’s game left to be played. And I’m going to make the absolute most of it.